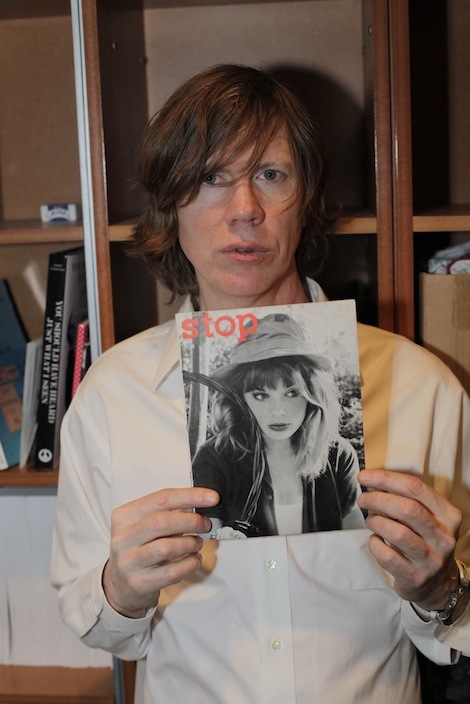 As we continue preparations for the May 24 release of Thurston Moore's 'Demolished Thoughts' (LP/CD/digital album), Thurston's launched an official Facebook page. Visitors willing to take the most mild of virtual loyalty pledges (ie. selecting "Like") are rewarded with a preview of "Circulation" from the Beck-produced 'Demolished Thoughts'. Sometimes, as much as you try to get things 'right' they always come out 'nearly there'. Yesterday we opened orders for BEGN for the upcoming Fucked Up release of 'David Comes To Life' and some European customers may have experienced issues with their digital downloads. If you are a UK or EU customer, you may have experienced problems redeeming your voucher code, thus unable to download the MP3 delights promised to you. If this was you, we sincerely apologise. All gremlins have now been removed from the system and regular service has resumed. Please do not try to pay again, we'll only keep your money. Instead, head back to www.buyearlygetnow.com, log in, re-input your code that you received from Sandbag yesterday and you should be on your way to aural pleasure. Please note: in the "retailer" field, enter 'Sandbag' (not Sandman). Any other problems, please comment below and we'll help you out, or refer to the help page on Sandbag. Digital single #4 and last, "Queen of Hearts," will come out on May 3. 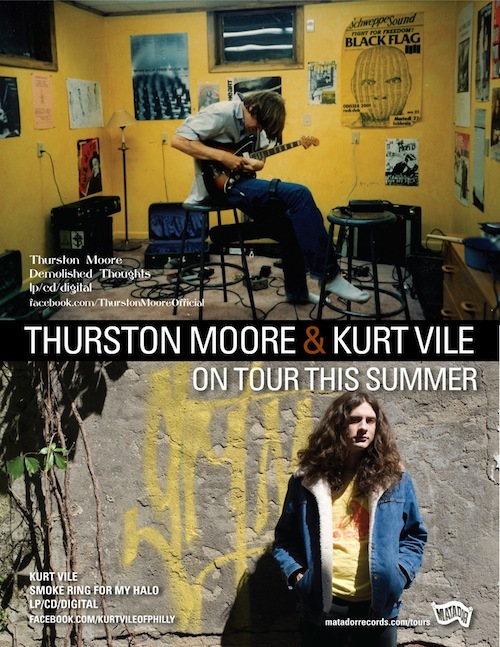 In what's likely to be one of the hotter tickets of Summer 2011, Thurston Moore and Kurt Vile & The Violators are hooking up for 7 North American dates this July in support of both of their most recent album, the former's upcoming 'Demolished Thoughts', and Vile's wildly acclaimed 'Smoke Ring For My Halo'. Additional dates for both --- sadly, only playing in tandem from July 18 to the 30th --- are listed below. Kurt Vile - Jesus Fever [192kbps mp3], from the LP/CD/digital album 'Smoke Ring For My Halo'. The former president and chairman of Sony, Norio Ohga, who was credited with developing the compact disc, has died aged 81, the company has said. Ohga, who led the company from 1982 to 1995, died of multiple organ failure in the Japanese capital, Tokyo. During the development of the CD, it was Ohga who pushed for a disc that was 12cm (4.8in) in diameter, because it provided sufficient capacity at 75 minutes to store all of Beethoven's Ninth Symphony. Sony sold the world's first CD in 1982 and CDs overtook LP record sales in Japan five years later. Ohga's specifications are still used today, and have shaped formats developed since, including MiniDisc and DVD. In 1989, he oversaw the $3.4bn purchase of Hollywood studios Columbia Pictures, which was criticised as unwise and costly at the time. Ohga also presided over the launch of Sony's game business, which went on to develop the successful "PlayStation" console. Remember back when we told you that Fucked Up had a new album on the horizon? Well that time is racing towards us faster than you can say "Byrdesdale Spa FC." However we've still got a little ways to go before the June 7 street date. But alas! We've found a way to not only get you the whole album early but for you to score a bunch of exclusive content. We're talking bonus 7"es, non-album tracks, posters. - Instant download of 5 non-album songs plus the pre-album digital singles as MP3s on April 26. - A full 192k album stream and hi-quality album download in 4 parts over 4 days from May 10-13. - The CD or 2xLP and exclusive poster mailed to your house via Matastore or available to pick up on June 7. - Download of Record Store Day Exclusive David's Town comp on June 7. - 4 bonus 7"es of 7 extra non-album songs available to pick up on June 28. And, as always, if you don't live anywhere near a participating retailer, you can always pre-order David Comes To Life directly from the Matador Store. 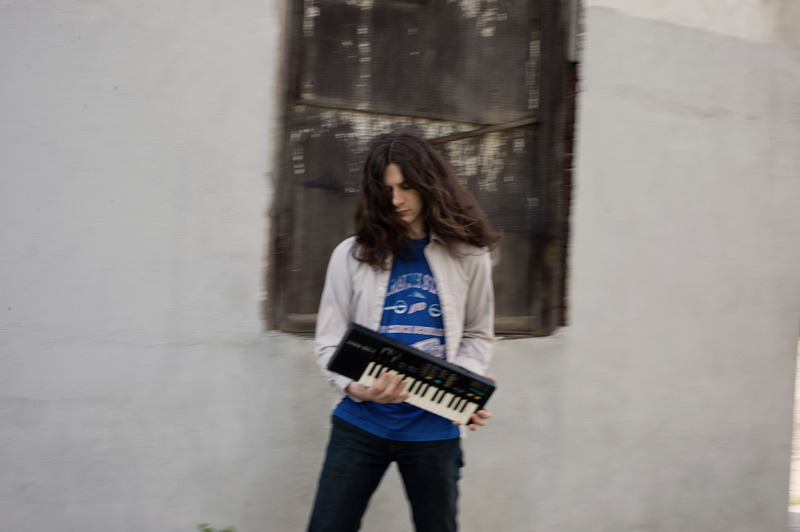 Rejoice, citizens of Britain, for we're announcing more Kurt Vile & The Violators shows! Kurt and friends will be back in September for a string of shows with the excellent Woods. Fucked Up play the NME/Radio 1 tent (Leeds - Friday, Reading - Sunday), whilst Cold Cave play the dance tent (Reading - Friday, Leeds - Saturday) . 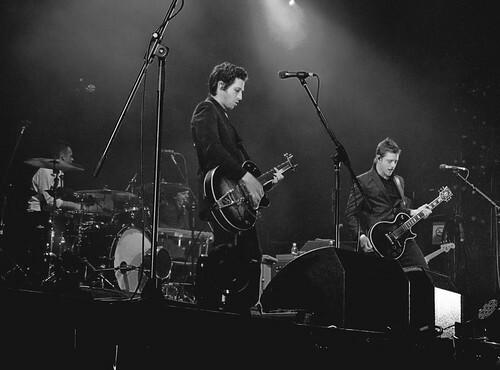 Interpol were announced previously and play way up the bill on the main stage (Leeds - Friday, Reading - Sunday). Today Fucked Up release the second of four singles from the upcoming album David Comes To Life. 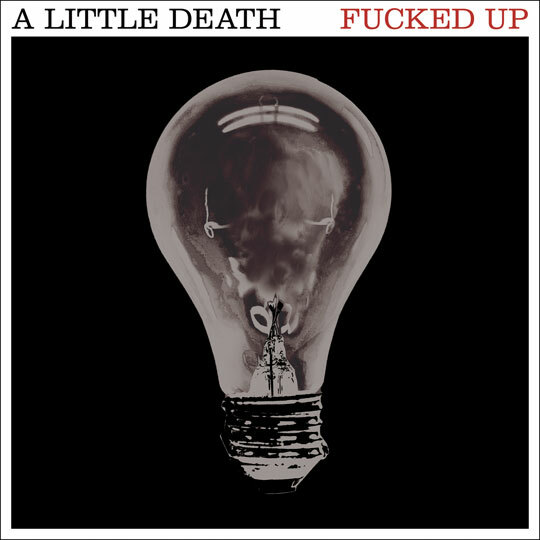 Entitled "A Little Death," the song is track 13 out of 18. Its urgent tone plays against an underlying tale of resignation and defeat, and showcases a different side of this insanely multilayered album from the first single released a couple of weeks ago. If you can't make it out to the desert, catch them at the Echoplex in LA tomorrow night. Tickets are only $5. The new Esben and the Witch video premiered yesterday on Pitchfork with several awkward figures shot on location around the Sussex coast by Brighton, England where the band reside when not on tour. 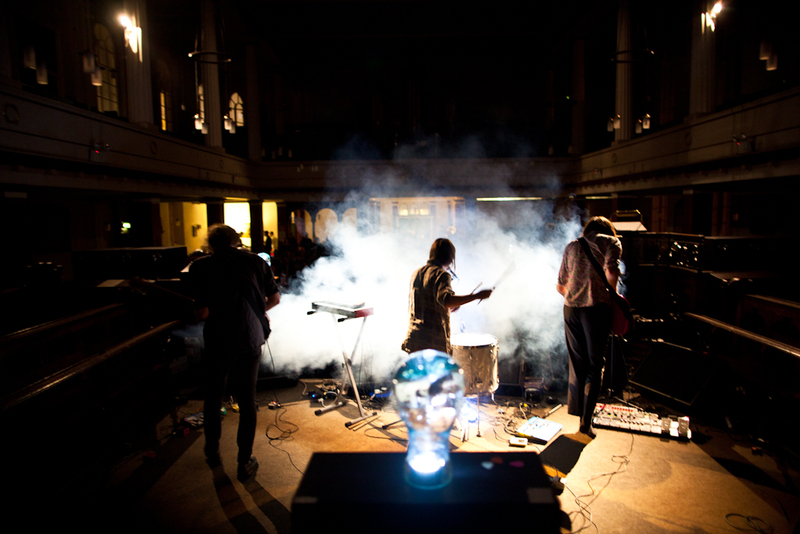 The video provides both a visual representation of the Chorea affliction and a link to their Chorea EP artwork. The Chorea EP is released tomorrow as part of Record Store Day and features a remix of 'Eumenides' by Stuart Braithwaite of Mogwai, along with the 18-minute long track 'Corridors' from their installation with Karl Sadler. More dates will be announced shortly! 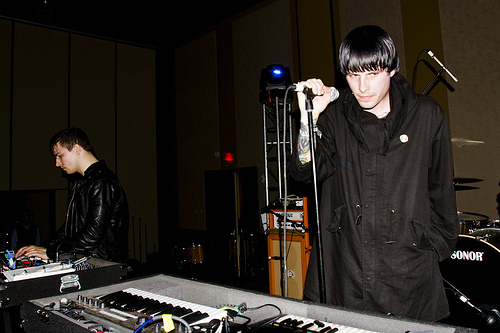 And don't forget Cold Cave will be out out at Coachella this Friday playing the Mojave Tent at 3PM. 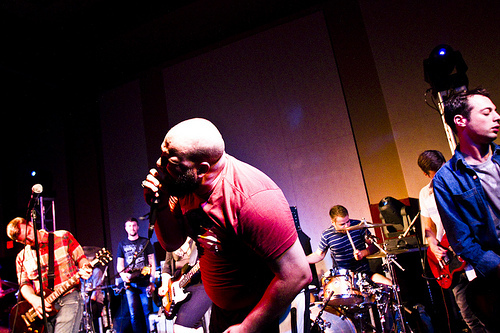 We're in the midst of a heavy period of activity for The New Pornographers ; in addition to a new batch of US dates (below), the band's "Sweet Talk" video for Oxfam's Gulf oil spill relief efforts (directed by Shannon Hart Reed has just been nominated for an Emmy in the "Societal Concerns" category. Though Record Store Day is a slightly less important cause than those supervised by Oxfam, it's obviously one very close to our hearts, and saturday's chapter in this annual celebration of independent music retailing will feature a limited edition 7" of 'Together''s "Moves" b/w the unreleased B-side “Drug Deal Of The Heart", plus a download code for said tracks and the Tom Scharpling-directed video for the a-side. As announced on the official Coachella page, stage times are out now for all bands playing this weekends festival and you'll find Matador and True Panther bands well represented, without any clashes (...hopefully) too! Featuring the premiere of the David Lynch animation "I Touch A Red Button Man" for the song "Lights", and utilizing real-time visual manipulation from Seattle-based HPX, the performance will be streamed live to the internet as well as to the audience at Coachella. Salem remix Interpol for vinyl-only 12"
Interpol are releasing a Limited Edition 12” Vinyl-only Remix EP on April 16th as a celebration of Record Store Day in Europe. The release features remixes of “Try It On” by Salem, Ikonika and Banjo or Freakout - To give you a taste of what is to come the band thought they would offer up the Salem remix from the 12". The Remix EP will receive a North American release in the later part of the summer after the band's upcoming tour dates. Below is a reminder of the shows and link to the band's website where you can purchase tickets. I told you we had more Kurt Vile instores to announce. And you know what? We're not even done. But for now, all you Seattleites.... Seattleuns???.... Seattleers??? whatever. 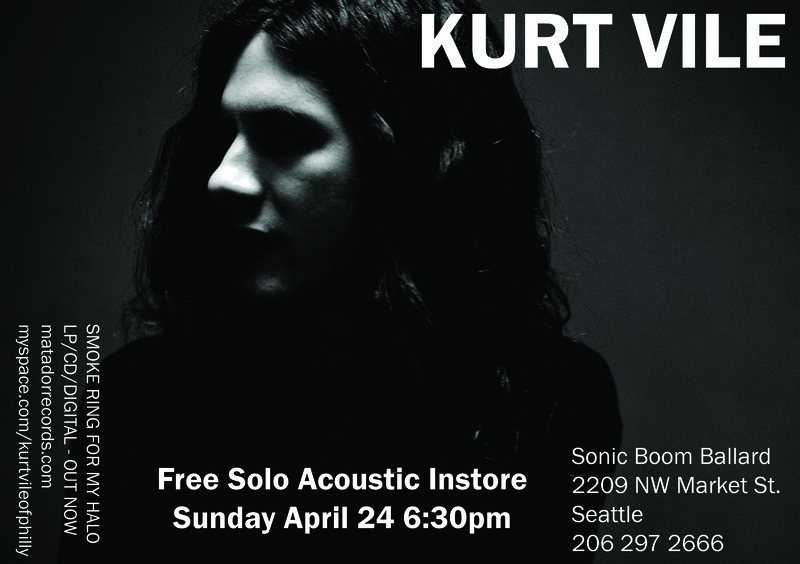 Go see Kurt at Sonic Boom. It's free and it's gonna be awesome. And let us not forget Kurt's proper show with the Violators at Sunset Tavern that evening. I hear they have pizza now. The Creators Project brings us a fascinating look Cameron Mesirow of Glasser and her creative process. Purchase Glasser's Ring here. 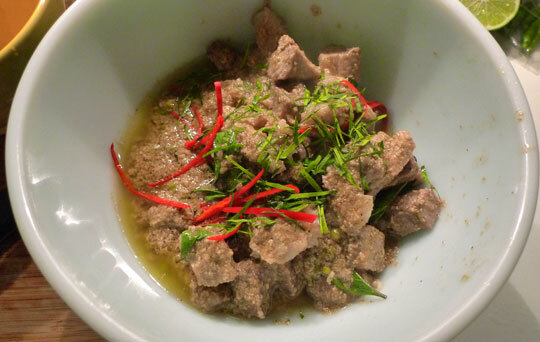 This is David Thompson's curry of boneless pork shin with green peppercorns. A highly unusual recipe from a memorial book, at first he thought there was an ingredient missing - "it shouldn't work." However it does work, and is extraordinarily delicious. Two hours of pounding paste last night, then an hour and half of heating, cracking, scooping, chunking and double-milking coconut this morning. Boneless pork shin is not easy to find in NYC, so I substituted pork shoulder on the advice of my butcher - the braise in coconut milk and lemongrass offshoots takes some time, so allow plenty of time for your guests (I kept them satiated with a shrimp paste relish, also from Thompson, with raw apple eggplants and snake beans). I didn't have fresh peppercorns, alas, or holy basil (substituted Thai basil, not at all the same) - but this turned out oily, fragrant and unbelievably delicious. It's all gone, so I guess it worked.... huge amount of effort, and no leftover paste, but definitely worth it. It's in the "Menus" section of Thai food, where a lot of great dishes are hidden. If you want a link let us know. Cold Cave's second full-length album, 'Cherish The Light Years', is available in stores worldwide today. As a special bonus for the iPad nation, the iTunes version of the album comes with "LP" - the first-ever iTunes LP for Matador. It has a bunch of hand-written lyrics from Wes and a grip of photos from the band's last tour around the world. You can get that here. And while you can catch the band opening up for the Kills over the next month, the first few shows of the band's upcoming July tour have been confirmed. 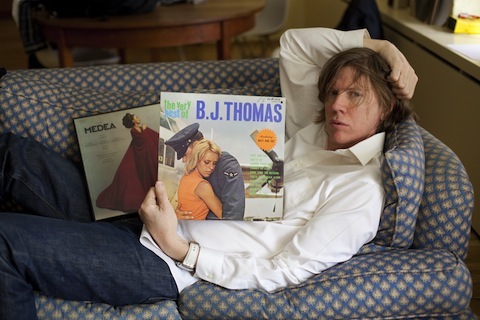 To mark the release of his new solo full-length, 'Demolished Thoughts', Thurston Moore is playing Brooklyn's Williamsburg Hall Of Music on May 20, with tickets going on sale this Friday, April 8 via Ticketmaster.com (American Express cardholders will have an opportunity to purchase tickets on Wednesday, April 6). We're excited to report that Fucked Up will be playing Terminal 5 on Thursday, June 23, supporting Dinosaur Jr. (who will be performing Bug in its entirety)!! Also on the bill are OFF! and Henry Rollins (interviewing Dino Jr. live). Ticket on-sale begins this Friday.